Come pray the Rosary with us! Holy Family hosts a Rosary and Meditation hour on Thursday evenings from 6 p.m. until 7 p.m. in the Parish Center. Please note that the Rosary and Meditation will not take place on Holy Days and Holidays. For more information on this and other ministries, please contact Viki Heady in the parish office at 203-336-1835 or emails to holychurch@sbcglobal.net. Hail Mary, full of grace, the Lord is with thee; Blessed art thou among women, and blessed is the fruit of thy womb, Jesus. Holy Mary, Mother of God, pray for us sinners, now and at the hour of death. Amen. 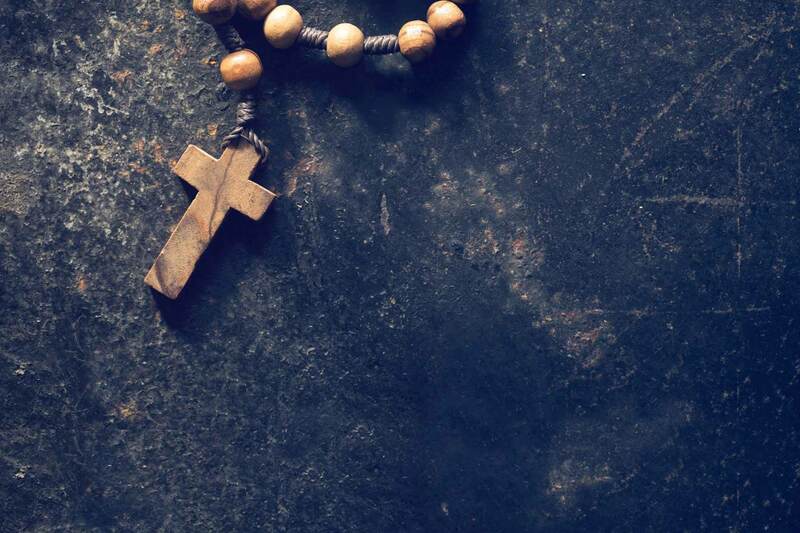 The Rosary is essentially the decades and their associated mysteries, and only these must be prayed to "pray the rosary", either in satisfaction of Our Lady's requests, or, to gain the indulgences attached to praying the rosary. 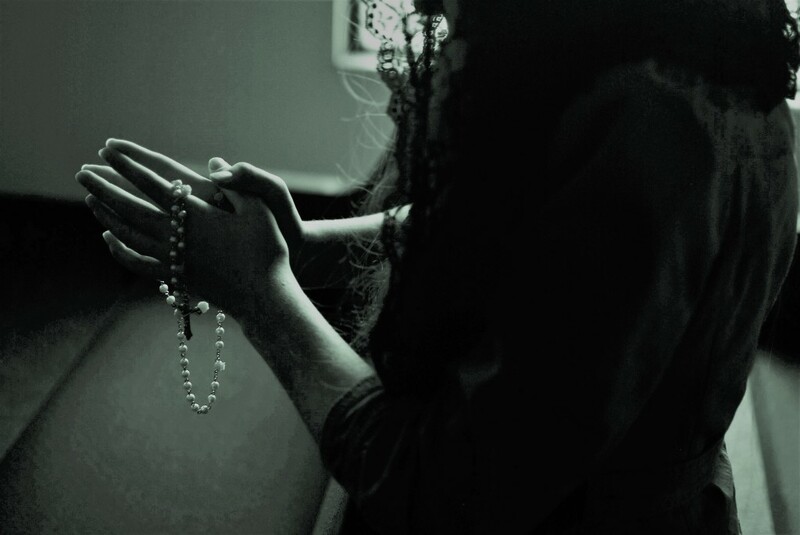 The traditional Rosary is divided into three parts, each having five mysteries: Glorious, Joyful and Sorrowful. In his apostolic letter The Rosary of the Virgin Mary, Pope John Paul II proposed a new set of mysteries, which he called the Luminous, and which concern the period of the public life of Our Lord. For those who wish to say all 20 decades at once during the course of a day, they may be said in the following order: Joyful, Luminous, Sorrowful and Glorious. One Our Father (large beads), Ten Hail Marys (small beads) and One Glory Be (before the next large bead) to make a complete decade of the rosary. After each decade the Fátima Prayer may also be said (Pope Pius XII). O my Jesus, forgive us our sins, save us from the fires of hell, lead all souls to heaven, especially those who are in most need of Thy mercy. (Verse) Pray for us, O Holy Mother of God. (Response) That we may be made worthy of the promises of Christ. (Response) O God, whose only begotten Son, by His life, death, and resurrection, has purchased for us the rewards of eternal salvation. Grant, we beseech Thee, that while meditating on these mysteries of the most holy Rosary of the Blessed Virgin Mary, that we may both imitate what they contain and obtain what they promise, through Christ our Lord. Amen. may gain a plenary indulgence under the usual conditions, which includes prayer for the intentions of the Holy Father. Our Father, one Hail Mary, and one Glory Be.